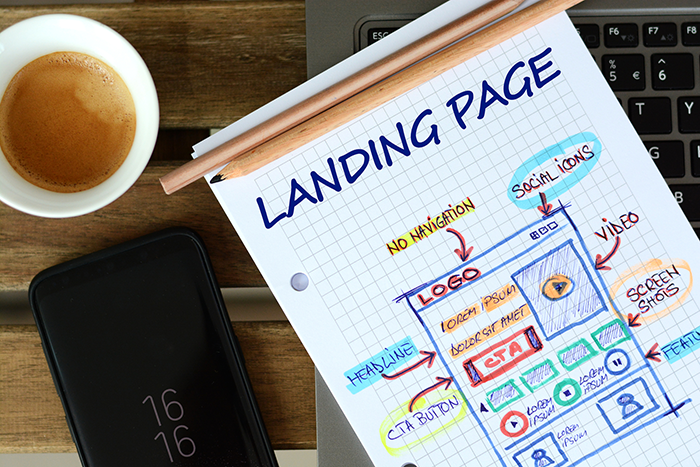 Landing pages are an important component in any sales or marketing effort. These pages are standalone pages designed to encourage people to take action. Whether they are signing up for an account, buying something or downloading a guide, a landing page is all about action. So, how exactly can a simple landing page, help your business grow? Here are a few ways that a landing page may just help your company grow for the better. They Give Off a First-Impression of Your Business- A landing page can help make a great first impression and help turn casual web browsers and potential leads into paying customers. Every business owner knows how important a first impression is, and a landing page is an opportunity to create the type of impression that you want to put out there. They Can Help You Create a Strong Web Presence- An optimized landing page isn’t just another way to get potential visitors to turn into actual customers, it is a way for your business to create a stronger web presence with more online content and higher search engine rankings—which is something everyone knows can only help their sales. They Help You Create a More Targeted Conversion Funnel- You can easily create unique landing pages for different promotions and offerings that will help you develop a more targeted customer experience. By establishing different funnels for different products or offers, you can put your potential customers into smaller groups and create more targeted campaigns to help turn them into paying customers. They Are Measurable Tools to Help You See How You Are Doing on Conversions- The goal of a landing page is to help convince people who are visiting your site to become paying clients. However, the great thing about landing pages, particularly those that are created with CRMs like Infusionsoft, is that they can provide you with information on how this page is doing. This way you can see how many people are visiting a certain landing page, who is clicking on what link and how many of these people are turning into actual customers. They Can Help You Learn More About Your Customers- If you want to make more sales, you need to know more about your potential customers. You can include additional form fields in your landing pages with programs like Infusionsoft, that will help you collect valuable information from website visitors so you can learn more about who your potential customers are and create a more customized experience for them in the future. If you have more questions about Infusionsoft, or about ways in which you can use a landing page to help your business grow—contact us here at Life In Motion. We can help you create a landing page and use other proven processes that will help your business grow.